The region of Zell am See/Kaprun is one of the most popular regions in the Austrian Alps for buying an apartment or a house. » Offer of properties in the region of Zell am See/Kaprun. Zell am See is a typical two-seasonal resort – there are many activities you can do here in the summer. The location offers marked touristic routes, cycle tracks, golf courses, horse riding, squash, tennis, and more. The lake is great for swimming, surfing or sailing. Purchasing an apartment in the Zell am See region is a good investment, as is supported by the data from the Austrian statistic office. Tourism flourishes in this region and the number of visitors is continuously increasing. This is good news for owners of local recreational properties. Many of them use the elaborated and very favorable model, where the property is leased while the owner is not using it. The lease is arranged and taken care of by a specialized agency and you can deduct the VAT on this purchase. The region of Kaprun/Zell am See is very popular with the tourists and properties owners can therefore expect very interesting rental revenues. You can find more information about the development of tourism in the region in the article Growth of tourism benefits investments into real properties in Austria. Ski & See Resort with 30 apartments will be completed before the winter season of 2013. Owners can therefore decide about the apartment interior. The purchase price is divided into several installments during the construction. The resort is located right next to a ski lift and the Zeller See lake. It is intended for the combination of use and lease. It offers complex hotel services including reception, wellness & spa, restaurant and bar. New apartments near the ski lift, town center and the Zell am See lake. All apartments have a terrace or balcony. Apartments are intended for the combination of use and lease. The owner can use the apartment 3 months of the year at most and must lease it for the rest of the year and receives rental incomes. The project completion is planned on Autumn 2014. 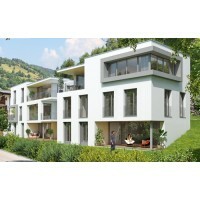 Apartments directly by the lake in Zell am See/Thumersbach. The newly built residence will contain only 5 apartments, which guarantees a quiet atmosphere in the house. Each apartment has a terrace with a garden, balcony or a large roof terrace. It is intended for the combination of use and lease, alternatively also for permanent living. Spacious penthouse with a view of the Kitzsteinhorn iceberg, fire place, sauna, swimming pool, parking place, fully equipped. Three bedrooms, three bathrooms, large terraces facing south. The house also includes shared spaces, such as the ski room, boot dryer, bike room and reception. 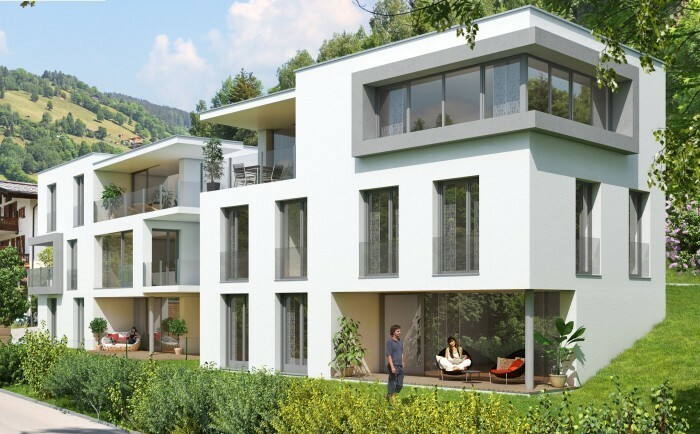 The new investment project including 14 apartments is located in the unique location of Sonnberg in Zell am See. The building will include hotel reception, cleaning services and a limousine that can pick you up at the airport in Salzburg or take you directly to the ski lift. Furthermore, the house includes a washing machine, supermarket, sauna, steam sauna and Jacuzzi . The apartments cannot be used only for recreational purposes, they are intended for the combination of own use and lease. Are you interested in buying a real estate in Zell am See or in the area? Contact us. More information about Kaprun/Zell am See.